This previous summer has been a great one and gardens all over Australia have been particularly beautiful this year. But winter is approaching at an alarming rate. If you step outside the house you can probably already feel the morning chill on your cheeks and it is already getting darker a lot earlier than during summer. Pretty soon you will start noticing some big changes in your garden as well. As the days grow colder, your garden will soon start to dull. Plants will grow much slower or stop growing entirely, most of the trees will shake their leaves and your lawn will become thinner and will seem a lot more bristle. While you cannot exactly stop all the effects of winter, there are quite a few things you can do to slow down the effects in your garden and to make your garden look brilliant throughout the winter. With a better-looking winter garden, you will be much more willing to step out there and spend some time in the fresh air. You will also reap plenty of health benefits of spending more time outdoors. Even scientists believe that spending time in your garden promotes your physical and mental wellbeing. Here are a few ways to maintain your garden throughout winter so you can enjoy a gorgeous and inviting garden in the coming winter months. Plenty of leaves, bark, twigs, and sticks are going to start falling all over your lawn and garden right now and all of this dead plant material can leave your garden looking miserable and glum. Take some time to regularly rake up all of that waste. Use your dead plant material and create a big compost heap so you can be ready for fresh new plants the moment spring arrives. 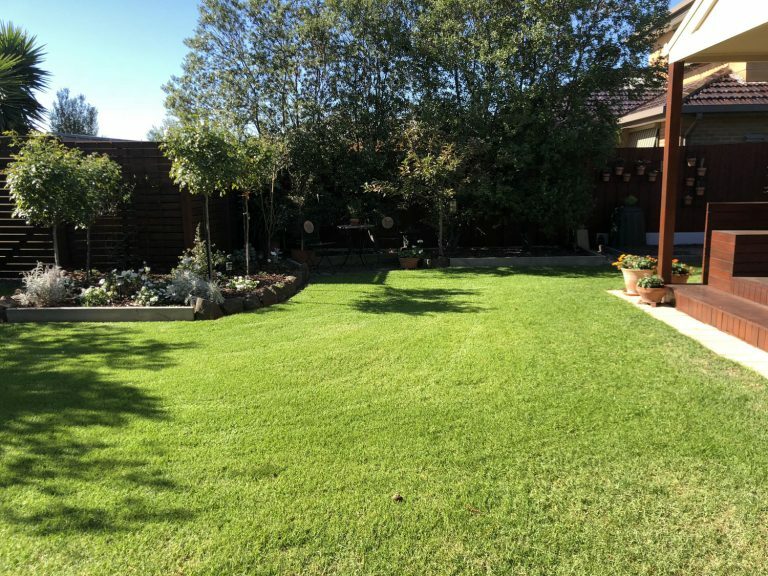 Doing a bit of lawn maintenance right now will boost your lawn a lot during the next few months and will give your lawn the best possible start for next year. Aerate your lawn with a garden fork so moisture can seep deep into the soil. If winter rains are puddling on your lawn then you can give these areas a layer of soil to level out your lawn. Winter time is a great time to start preparing for a vegetable garden. You cannot exactly plant new plants right now since the likelihood of them dying on you is pretty high in the winter but you can use this time to clear some space for vegetable planting. There are plenty of wonderful ways to create a beautiful vegetable garden in your backyard and you can even build your very own tiny greenhouse with just PVC piping, PVC bends and rolls of plastic. Get a vegetable greenhouse ready so you can start living green when spring arrives. The best time to prune is when all of those dead leaves are starting to fall. You can see all of the branches of trees and plants a lot more clearly and pruning will also get plenty of leaves and twigs down so you can reduce cleaning later on. Potted plants are great for winter garden care. You can move these pots around as you please and you can even add a dash of colour to your garden by painting your pots bright colours. Australia also has plenty of beautiful flowers that bloom during winter. Winter roses, Jonquil, Hyacinths, Paper Daisies, English daisies and much more are all very beautiful flowers that will highlight those dull winter months tremendously. If you don’t have the time to maintain your garden yourself then Gardening Angels can take care of your garden for you. We will make sure that your garden is pruned, weeded, raked and beautifully maintained the entire winter and we can start preparing your garden for spring planting.